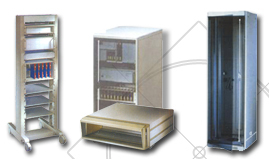 Precirack 14 series racks are light duty racks specially designed and manufactured for housing measuring instruments, test instruments, analytical equipments and for laboratory use. 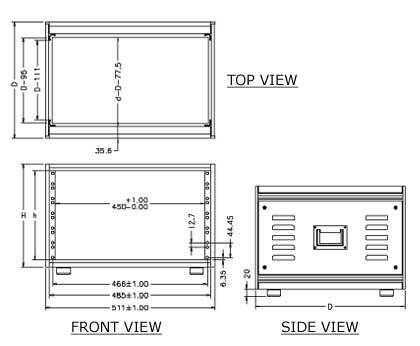 Generally these are used on table tops to house equipments and conforms to 19" rack mounting specifications. 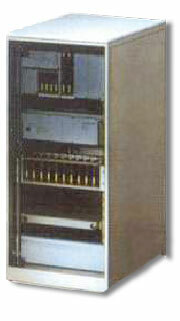 3 types of interlocking aluminum extrusions are used in construction of the basic frame. The rack is capable of handling up to 60 kilograms of load and can be supplied with acrylic or steel doors with special die-casting handles to enable lifting.